Purple Noise is a new global feminist movement and at the same time Fake News. Our manifesto addresses the confused post-political subject and plays with references to Dada and contemporary feminist theory. Inspired by Donna Haraway, we grow feelers! Times of confusion require a new sensorium: expanded perception leads to new forms of kinship and hopefully to a liveable future. 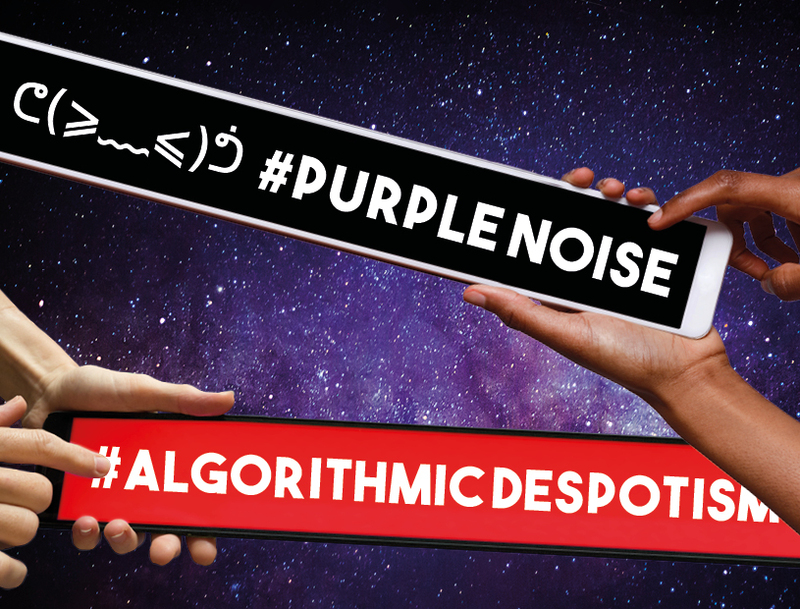 Purple Noise is an experiment that explores the dynamics of social media. Fake news has a reality-generating effect, and fictional popularity, generated by purchased likes and followers, influences the formation of political opinion. 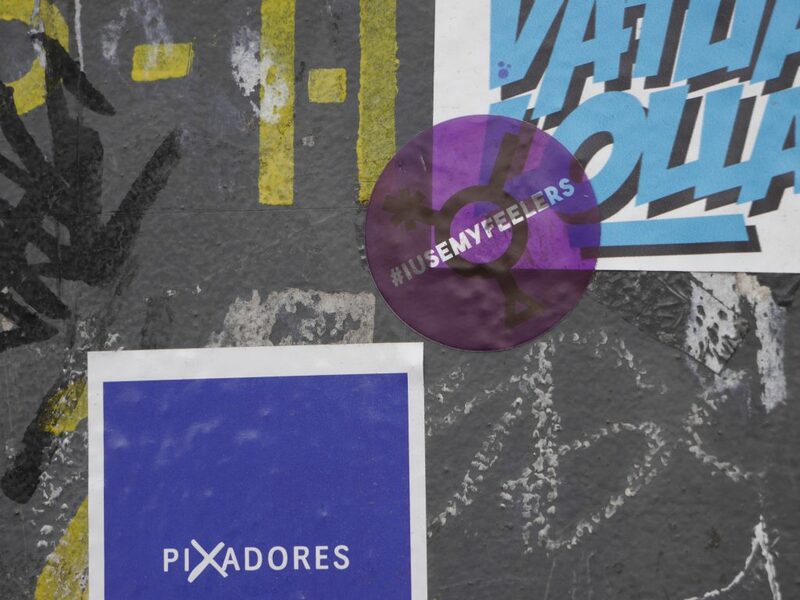 The feeler meme and the iconographic signs of infinite gender variations inspire us to tell and share little stories. These mix as nonspecific disturbances with the noise of social media. What do you do with your feelers? What is the disturbing noise you produce? 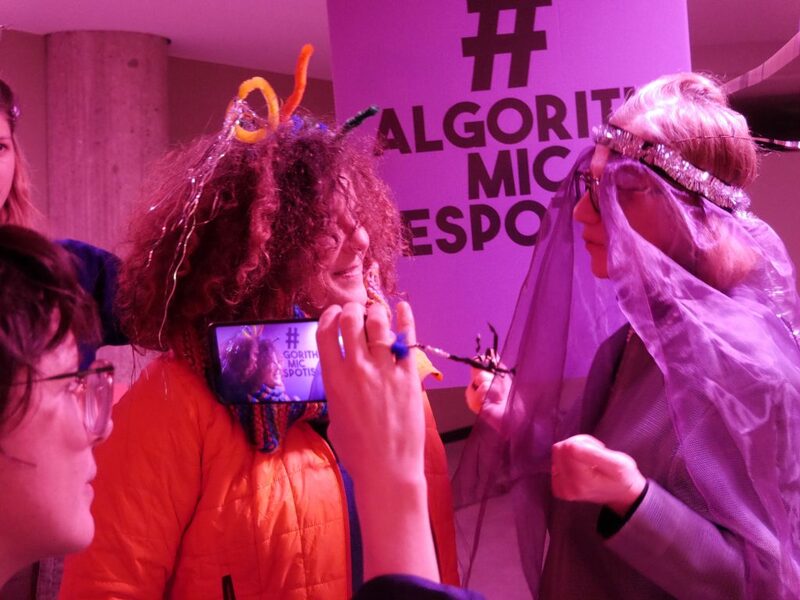 How can we join forces beyond the despotic rule of algorithms? 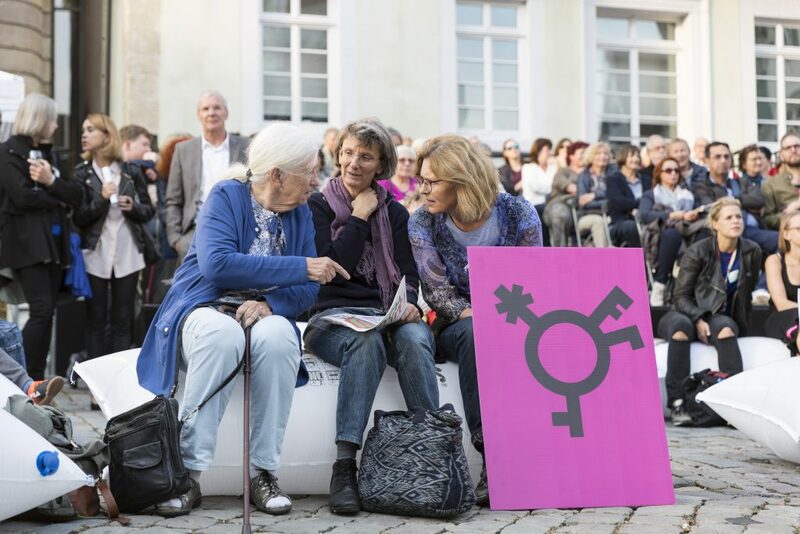 #PurpleNoise bei der Eröffnung der Stadt der Frauen in Esslingen September 2018, im Rahmen des Drehmoment-Festivals. Frigga Haug spricht später noch. Doing interviews about feeler experiences.